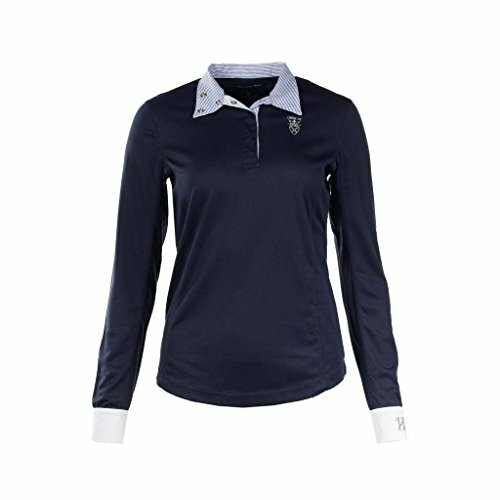 Premium construction make this sophisticated show shirt the ultimate choice for show or training. 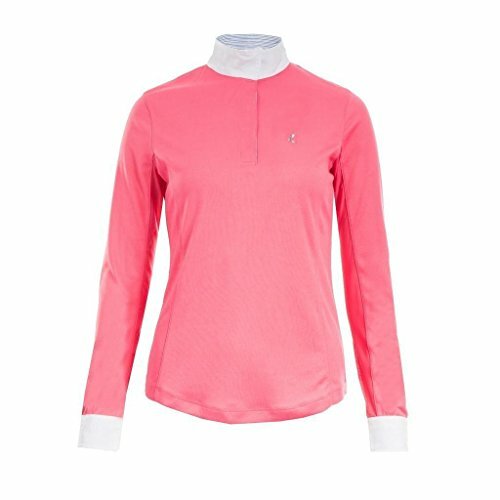 Whether you are training or showing, this elegant show shirt will look impressive. 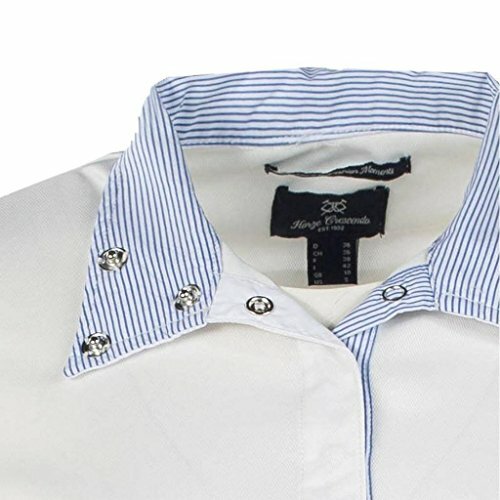 The collar can be worn closed for a formal, white look or open for a more casual appearance with the striped lining visible. Side panels and arms are fitted for a custom look and feel. The special details include a logo on the left chest area and white cuffs. The metal press buttons disappear when the collar is snapped closed. The shirt includes breathable mesh underarms and the entire shirt is quick-drying and breathable with added UV protection.